For Day 3 of my 10 films in 10 days, I chose a film that’s not particularly an overwhelming personal favorite of mine nor one I consider “great,” but it is a movie that I have watched numerous times over the years (and can still do) as the movie equivalent of comfort food. But the Longest Day (1962) is among the first and representative of a movie genre I loved as a kid—war films and, particularly, World War II films. I had a lot of interests as a kid, and military and World War II history was among them. I read history books and biographies/memoirs, played “guns” in our local woods (in my mind, the snow in a nearby wooded forest during the wintertime made it evocative of the Battle of the Bulge), and played with toy soldiers and built model kits of tanks and other vintage military vehicles that became part of this play. And, of course, war comics like Our Army at War (with Sgt. Rock), the Haunted Tank, the Losers, Sgt. 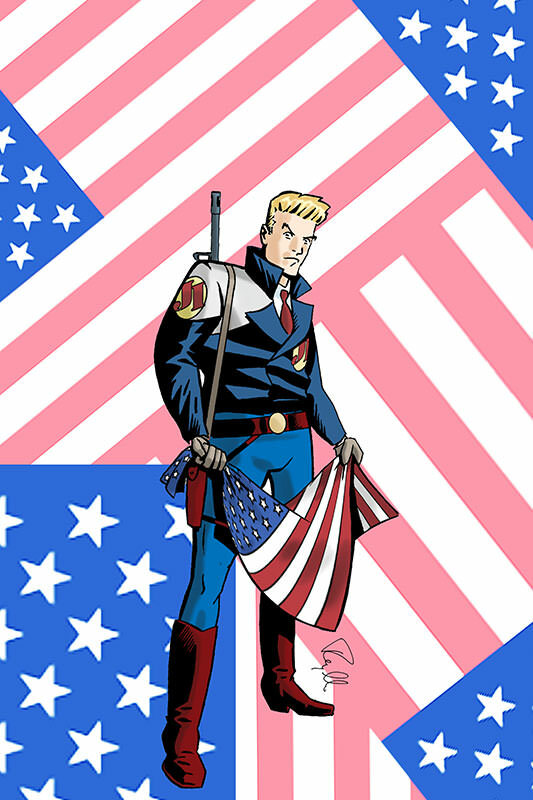 Fury and his Howling Commandos were favorites—indeed, my first self-made comic-book was called Sgt. Hanes and Hell Platoon. My brother and I went through a period where we would circle all the war movies scheduled to be aired in the week ahead in the newspaper’s tv guide: Films like To Hell and Back, the Devil’s Brigade, Stalag 17, Sands of Iwo Jima, Dirty Dozen, and Go for Broke were all perennial favorites. The camaraderie, sacrifice and sense of purpose all appealed to me. 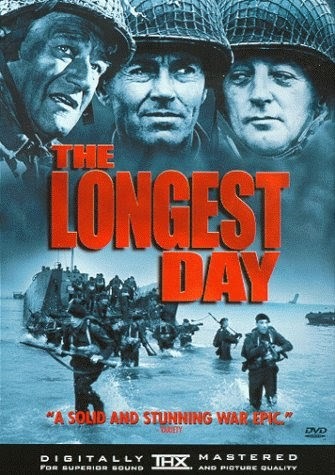 The Longest Day was a particular treat and special event for me when it aired. It, of course, featured an international all-star ensemble cast, including John Wayne, Richard Burton, Red Buttons, Robert Ryan, Eddie Albert, Peter Lawrie and, in small roles, Henry Fonda, a pre-James Bond/working class Sean Connery and Gert Frobe (a German actor, who would later appear as the titular character of Goldfinger). Of course, since then, much better films in this genre have emerged to celebrate “The Greatest Generation,” such as Saving Private Ryan (and HBO’s Band of Brothers), which of course are much more visceral and realistic. But this was one of my first war film favorites and holds a special place in my memories.